The 2015 complaints, filed before the Max 8 was in use, are critical of training and pilot documentation on the 737 in use at the time, as well as two larger Boeing planes. An Ethiopian Airlines jet crashed in Ethiopia with 157 people on-board last week. Two pilots filed complaints with the Federal Aviation Administration about allegedly flawed training programs and poor safety procedures at Ethiopian Airlines years before a Boeing 737 MAX commercial jet crashed in Ethiopia with 157 people on-board last week, according to a Federal Aviation Administration database. The 2015 complaints, filed before the Max 8 was in use, are critical of training and pilot documentation on the 737 in use at the time, as well as two larger Boeing planes. They could also lead to renewed scrutiny of Ethiopian Airlines, a fast-growing international airline that has enjoyed a generally positive safety reputation in international aviation circles. One pilot said the airline didn't "have the infrastructure" to support the fleet of Boeing and Airbus jets it ordered, and alleged the airline had a "fear-based" management culture in which "safety is being sacrificed for expansion and profit margin." The pilot also accused the airline of failing to update pilot manuals and leaving out certain checklists designed to help pilots respond to "non-normal" situations. And another pilot criticized Ethiopian regulators for maintaining lax standards with respect to crew flight and rest time. The FAA's data does not identify the pilots by name. Anmut Lemma, a spokesman for Ethiopia's Civil Aviation Authority, said because the complaints were lodged years ago the agency would need "further investigation" before commenting additionally. A spokesman for Ethiopian Airlines could not be reached for comment Thursday. The FAA closed the complaints less than a month later and it's unclear whether the agency shared them with Ethiopia's Civil Aviation Authority. An FAA spokesman emphasized that the agency has a "long-standing and robust" program that evaluates airlines overseas in conjunction with the International Civil Aviation Organization (ICAO), a United Nations organization responsible for standardizing international airline regulations. "The FAA regularly evaluates foreign civil aviation authorities to ensure they continue to adhere to ICAO standards," FAA communications manager Ian Gregor said in a statement. Mike Boyd, a Colorado-based aviation analyst with Boyd Group International, said the two complaints are "not a smoking gun," but actually more like "an artillery barrage" that call for additional scrutiny on airlines' roles in the two deadly crashes. Boyd referred to multiple published reports that the pilot of the doomed plane had 8,000 flying hours while the copilot had just 200 hours. "There is no way [Ethiopian Airlines] can claim they had a qualified crew on that flight," Boyd wrote in an email Wednesday. In the U.S. copilots on commercial flights are required to have at least 1,500 flight hours. The first 2015 pilot complaint "is totally consistent with an airline whose standards would put a 200-hour pilot in a sophisticated 737-MAX," Boyd said. "That is not inconsequential and it's a scandal that, instead of investigating the fact that we have an airline such as [Ethiopian Airlines] flying into the U.S., we have Congress running off into the weeds chasing Boeing/FAA issues." The complaints have surfaced at a time when Boeing, the FAA and Ethiopian Airlines are under intense scrutiny. In the past few months a pair of deadly plane crashes in Indonesia and Ethiopia killed 346 people. Both were new Boeing 737 MAX 8 jets flown by airlines based outside the United States. And both flights followed a similar flight path, pitching up and down before veering downward into a fatal nosedive just minutes after takeoff. The Federal Aviation Administration said in a recent airworthiness directive that it has found evidence of similarities between the two crashes, citing satellite data and evidence found in the wreckage. The possibility that design flaws caused both crashes has led to a worldwide grounding of Boeing's new 737 MAX 8 and 9 jets, lawsuits from surviving family members of at least two dozen crash victims, congressional inquiries and a criminal probe. Scrutiny around Boeing's role has focused on the company's decision, which the company maintains was approved by the FAA, to include an automated flight control system called the Maneuvering Characteristics Augmentation System to the 737 MAX. The system automatically nudges the nose of the plane downward to prevent it from stalling. Pilot groups in the U.S. have sharply criticized Boeing for changing the software without detailing it in pilot training, raising concerns that pilots might not know how to override the automated nose-down function at a critical moment. The two complaints about Ethiopian Airlines come from a database of 2015 pilot complaints posted on the Federal Aviation Administration's website, which the FAA stopped publishing after 2015. 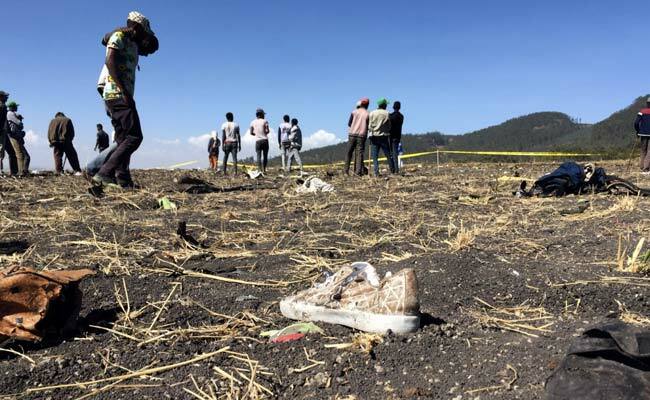 An FAA spokesman said Wednesday that the agency searched safety hotline reports it received after 2015 and did not find any from Ethiopian Airlines pilots. The Washington Post has filed a Freedom of Information Act request with the agency for updated complaint data. The two complaints, which the FAA published without identifying the names of the pilots, allege a range of safety issues at Ethiopian Airlines including poor pilot training processes, potentially dangerous policies with respect to crew flight and rest time, and a failure to include updated pilot checklists for certain "non-normal" flight conditions. It is unclear how the complaints were handled by the FAA, Ethiopian regulators, and the airline. The first complaint was filed in early January 2015 and marked "closed" by the FAA less than a month later. The second was filed Feb. 9 and closed a day later. One pilot accused the airline of employing flight simulator trainers that are not knowledgeable about "aircraft systems, Boeing procedures, or company procedures," and failing to follow a syllabus for pilot training course. "Across the board, 737, 767 [and] 777 [flight simulator] instructors not knowledgeable about the aircraft's systems, Boeing procedures, or company procedures," the pilot alleged in the complaint. "Overall, [Ethiopian Airlines] offers substandard training compared to industry norms," the pilot wrote. The pilot also criticized Ethiopian Airlines' coordination on specific flights, calling the airline's dispatch office "a disgrace" and taking the airline to task for apparent safety oversights. "Crews never get accurate flight plans, fuel loads, latest weather or up to date information," the pilot alleged. The pilot alleged that scheduled passenger flights are flown into airports in Somalia "without operable navigation aids" noting "this is unsafe," and said pilots are not issued personal navigation manuals and instead have to rely on out-of-date flight manuals. The pilot also noted that "non-normal checklists in the cockpit are not kept current, including complete omission of certain checklists," referring to documents that instruct pilots on how to respond to "non-normal" equipment behaviors that can become dangerous. The pilot also harshly criticized the airline's management style, alleging that a pressure to meet deadlines sometimes led flight crews to overlook maintenance requirements. "If a scheduled flight pushes back due to maintenance, mechanics are punished with a reduction in salary," the person wrote. "Leadership style of the company is fear based. ... This permeates all aspects of the operation and all departments. Nobody wants to be held accountable. Misunderstandings, conflicts, or errors are handled through punishment." The pilot said the Federal Aviation Administration should intervene. The FAA regularly evaluates whether foreign countries meet U.S. standards for airline oversight, and has the authority to revoke authorizations given to specific countries. "It's the duty and moral responsibility of ICAO, the FAA and JCAB to assure this airline is fully competent and compliant before allowing them to expand and continue their international operations," the pilot wrote. "The traveling public deserves much safer air transport. Essentially, [Ethiopian Airlines] doesn't have the infrastructure to support the giant influx of 787′s, A350′s, and 737Max's on order. Safety is being sacrificed for expansion and profit margin." In a different complaint, a pilot accused Ethiopian regulators of signing off on flight and rest time policies that are not consistent with the FAA's positions on the matter, saying the policy could "will jeopardize the safety of flights" from a major African carrier. "Ethiopian Airlines has accepted this and renewed its flight operations policy manual to reflect this," the person wrote. Aviation analysts expressed surprise at the pilots' allegations, noting that Ethiopian Airlines is thought to have a reputation for diligence when it comes to safety. Before last Sunday's tragedy the last deadly accident at Ethiopian Airlines was a 2010 incident that killed 90 people. The airline operates regular flights into Chicago, Los Angeles, Newark and Washington. "As far as the Ethiopians are concerned, they have a pretty good reputation," said Teal Group analyst Richard Aboulafia. Analysts say the pilots raise serious questions about whether overseas' airlines are maintaining responsible pilot training programs and requirements. "These are very serious allegations, and if true they point to a very bad safety culture at Ethiopian Airlines," said Henry Harteveldt, an analyst with Atmosphere Research. "We don't know how many other pilots may share these feelings . . . however when you look at these against the potential training problems with the 737 MAX, training that the FAA said could be done through an iPad course, and the lack of 737 MAX simulators, these don't paint a very rosy picture of how Ethiopian Airlines views safety."